Victor de la Serna continues to playfully patrol several different beats. If you’re not familiar with Spain’s Victor de la Serna, this week’s Q&A on price-comparison website Wine Searcher is as good a place to start as any. The interview is also a reminder that these days, on the web, content pours from all sources. 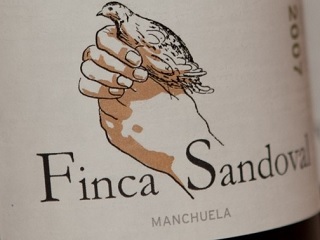 In the pages of Spanish newspaper El Mundo, in addition to writing about wine, de la Serna covers basketball under the pseudonym Vincente Salaner and food under the pseudonym Fernando Point. He also owns a winery, Finca Sandoval, where everything was basically created from scratch after the land was purchased from his wife’s family in 1998. De la Serna holds a graduate degree in journalism from Columbia University.